Sunway College’s home-grown Foundation in Arts (FIA) programme recently celebrated the graduation of their 8th batch of students who were about to step forward in pursuit of their dreams. The ceremony witnessed 129 students graduating in the presence of Professor Robert Bignall; Vice-Chancellor of Sunway University, Professor Pua Eng Chong, Deputy Vice-Chancellor of Sunway University; Professor David Ngo Chek Ling Deputy Vice-Chancellor (Research and Higher Degrees), Sunway University; Dr. Khatijah Khalid, Chief Executive of Sunway College; Cheng Mien Wee, Director of Pre-University Studies; Mrs Ruma Lopes, Director of the FIA Programme, Sunway College, as well as lecturers, parents and students. Janardhni a/p Ravi receiving her graduation certificate from Professor David Ngo. 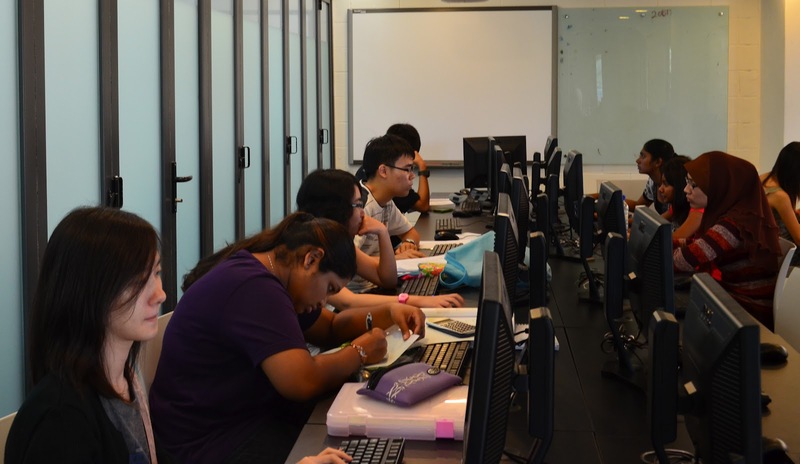 Your learning does not have to bogged down when it comes to using PCs in Sunway’s newly-renovated IT Learning Labs, which offer the latest PC’s (average PC age not more than 20 months old) in a more contemporary and comfortable environment. Students can stay on top of their assignments on any of the 12 PCs linked to a multifunctional Fuji Xerox printer to easily navigate to print, scan or copy. 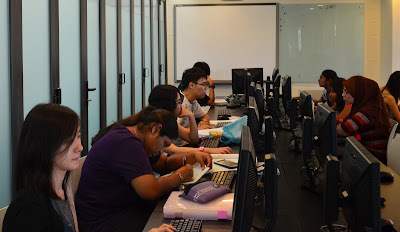 Other PCs in the labs continue to be available for students to use for assignments and daily learning. A virtual desktop with all the latest software comes with every PC start-up. 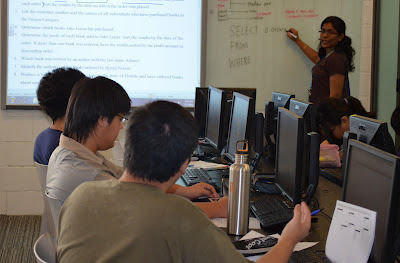 Each IT learning lab is equipped with smart boards. This gives you a more interactive classroom session between lecturers and you, ensuring that learning is fun, relevant and real. The smart boards have short-throw projectors for clearer viewing. A more accessible disabled-friendly PC is also available. All of this is part of Sunway’s efforts to provide the best and latest technologies for hassle-free use that can support your academic success.